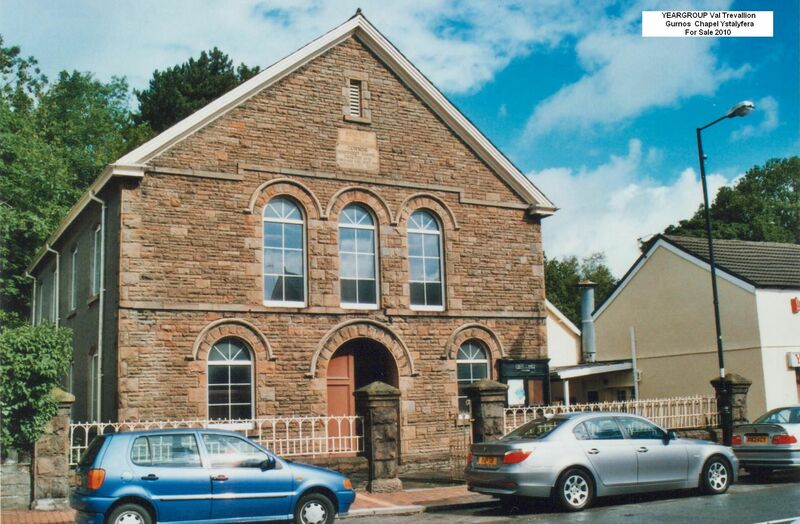 Having been puchased from the Wesleyans in 1858 and incorporated into a church in 1859, Gurnos Chapel soon grew in size. At first a gallery was fitted to expand the seating space, but the church developed so rapidly that it soon became necessary to enlarge and rebuild it. The chapel was purchased in 1858 by the congregationalists, and was soon found to be too small, being subsequently enlarged, and in 1864 rebuilt. The joint cost of this enlargement was £569, which was on top of the £192 paid to the Wesleyans for the chapel. After this rebuild, Gurnos Chapel was able to sit 600 persons. During this period, the church produced from amongst its congregations two ministers who would work elsewhere: Rev. Dr. Gurnos Jones and T. Penry Evans of New Quay. Information from The South Wales Voice, 29th May 1943.